Avoid giving in to comparison. – Others may have prettier trees, nicer gifts, more family around…. but I will be thankful for what I have been given in this season, and not let comparison kill the joy of the blessings. Don't forget to give back. – We are excited for this year's local Christmas Outreach! 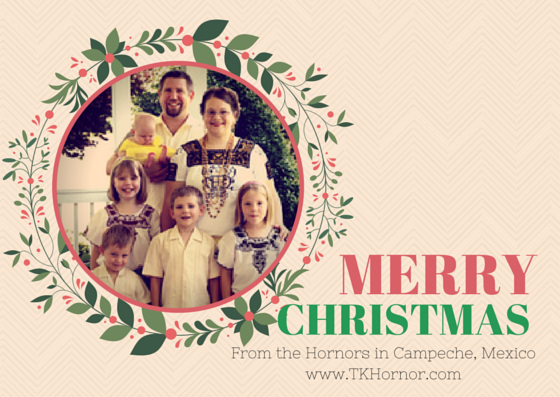 You can read about last year's here, and thanks to your purchases of Melk,the Christmas Monkey, there will be many children impacted for Christ this year in our part of Mexico. How will you be giving back? I'd love for you to tell us in the comments or list your favorite charity. Avoid paying full price. – I don't, if I can help it. This one affects my budget and my after-Christmas mood, when we have less b/c we bought more at prices that were too high. By planning ahead a bit, I think we bought all of our gifts on sale this year, with the exception of the stolen gift, but, even though it cost more to get it here, we did end up finding it on sale too. Do not live in the past. – There are things about my life I cannot change, only learn from. There are people who are no longer a part of it. I will choose to remember and honor the good memories only, and not let the bad ruin the present opportunities to make more good ones. Do not miss the chance to make memories and recount memories with your children. Children need to hear the stories of fun and family and Christmases long ago, and of God's working in other lives in other years. Like the time Mommy found her “big present” by accident during an innocent game of hide and seek, or the time brother thought that sister's talking Cricket doll was a real person, a new family member! Those memories vocally passed from generation to generation have great influential power on our children. 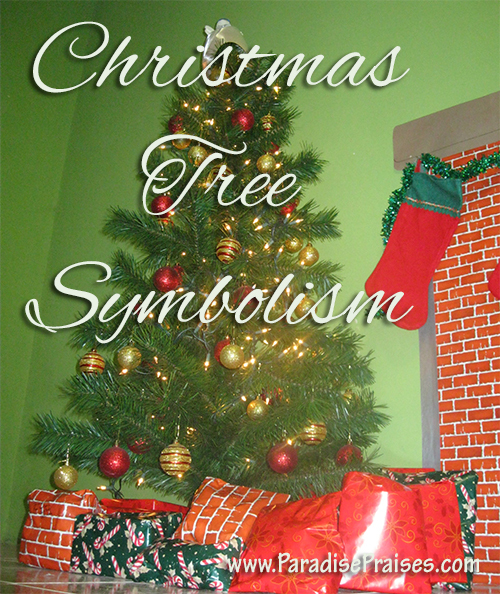 Don't forget to revel in the beauty of the tree lights and the atmosphere of the music and smells of Christmas. – The simple joys. Sometimes I just want to freeze time and enjoy the moment forever. I can't, of course, but I can choose to slow down, recognize the moment and savor it. 7. 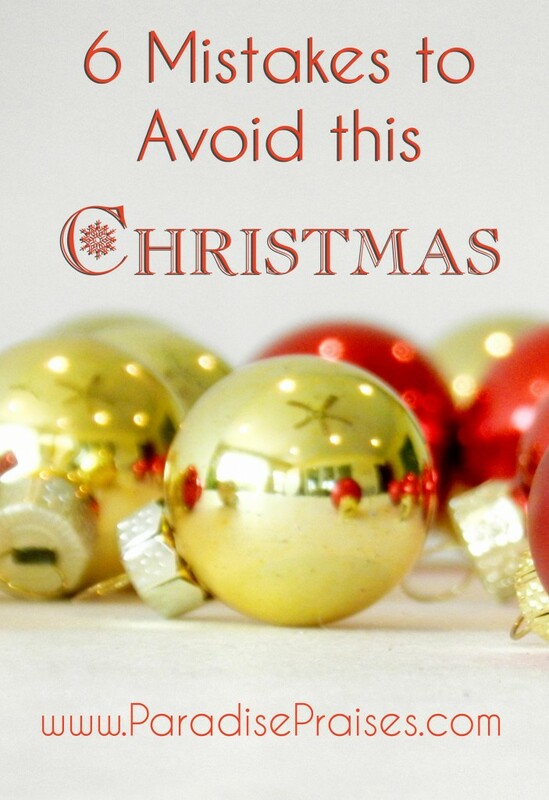 Don't forget to reset – I will be taking time to reset during Christmas week. Everyone needs a little time now and then to enjoy family and reset away from the normal schedule. I'll be doing that as together we teach others of and celebrate our Saviors' birth next week, starting with Melk's mission! So, I won't be posting anything new next week, but I do want to remind you that subscribers will receive a coupon code for 50% off the classy Personal Praise Planner and beautiful Elephants Planner December 29-31. So, if you're not already a subscriber, sign up below and watch for your coupon just after Christmas!